12 Existing Environment Backup Policy Changes –Backup schedule: weekly full backups and daily incrementals. 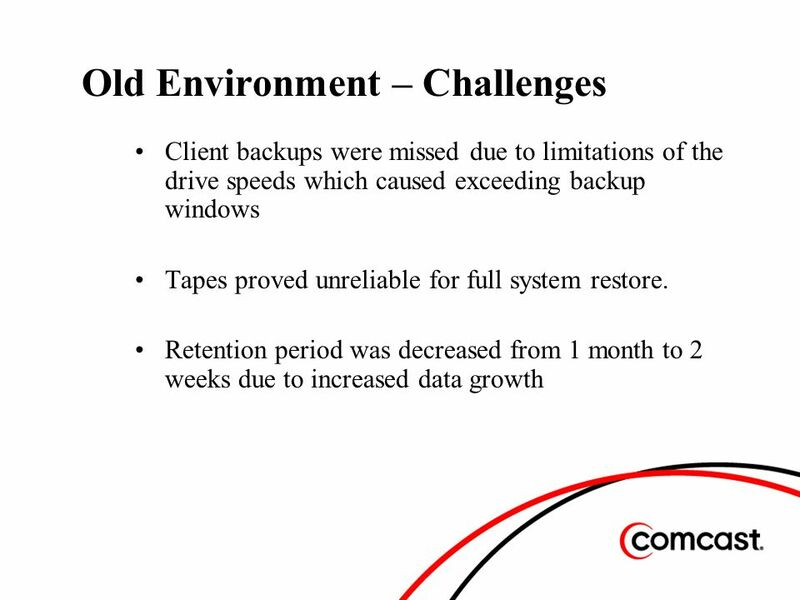 –Retention period: all data are retained for 2 weeks on disk and 3 months of full backups on tape –Full backups are averaging 2.5 Tb within an 8 hour backup window –Backup speeds are limited to the speed of the disk controller on the drive array. 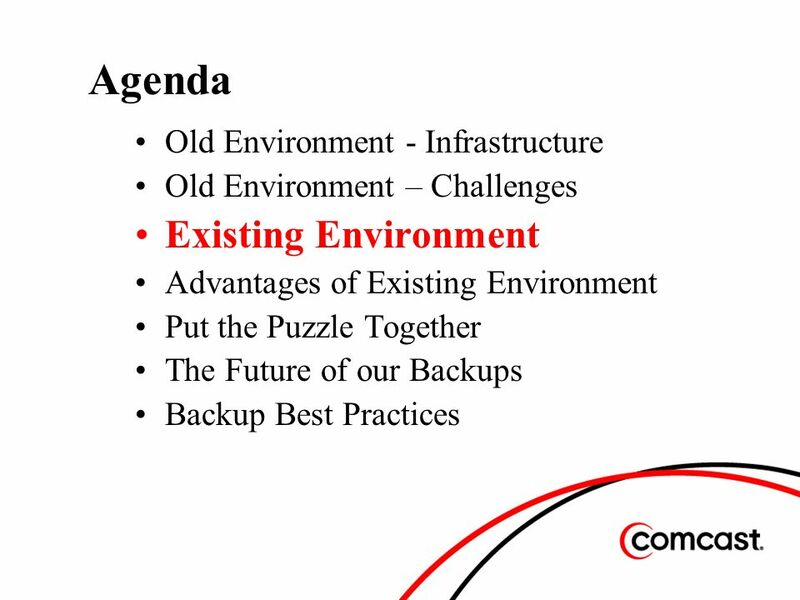 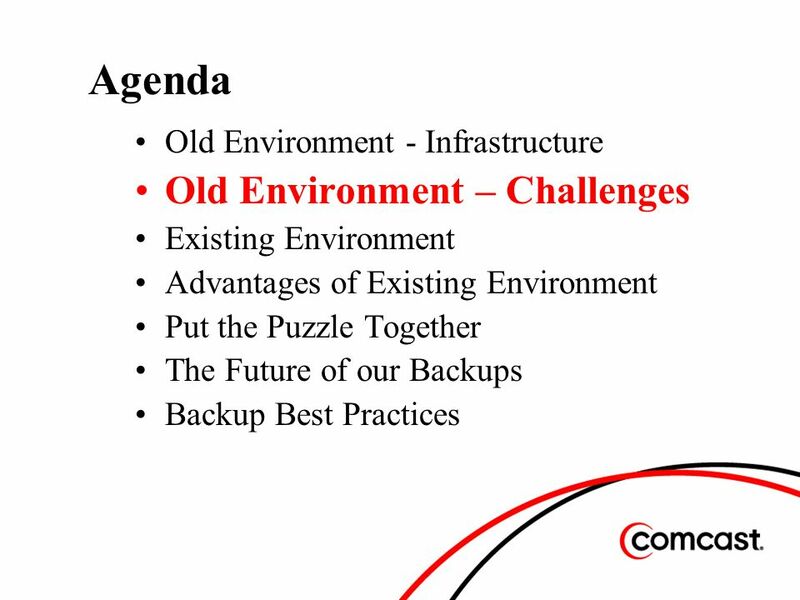 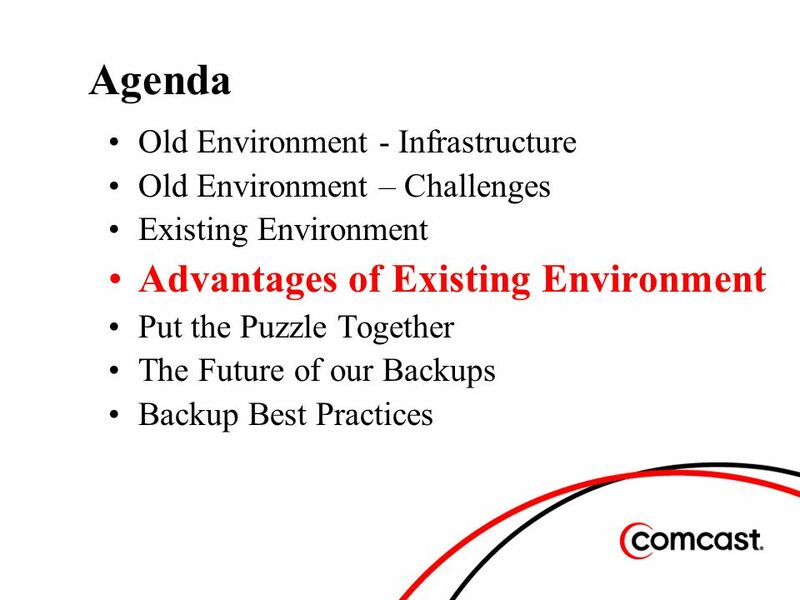 18 Advantages of Existing Environment Central point to manage. 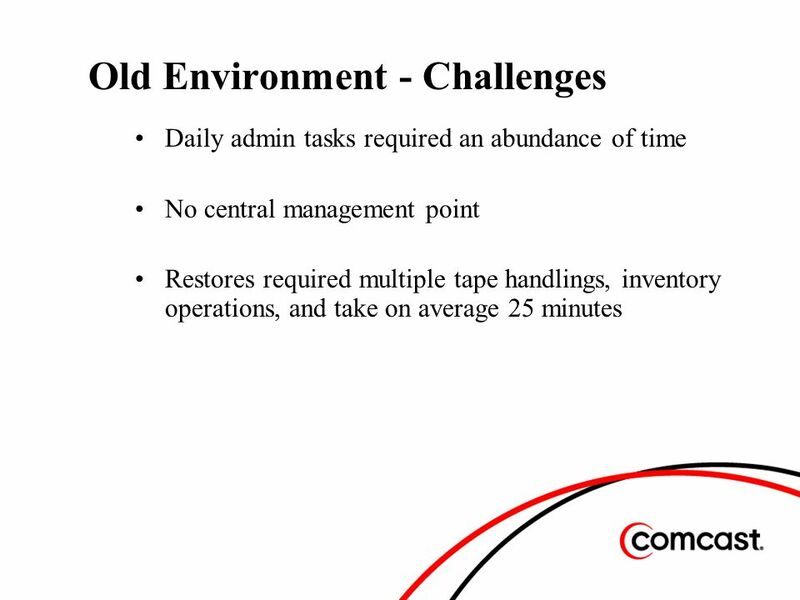 Daily admin tasks take minutes – just long enough to verify that all completed successfully. 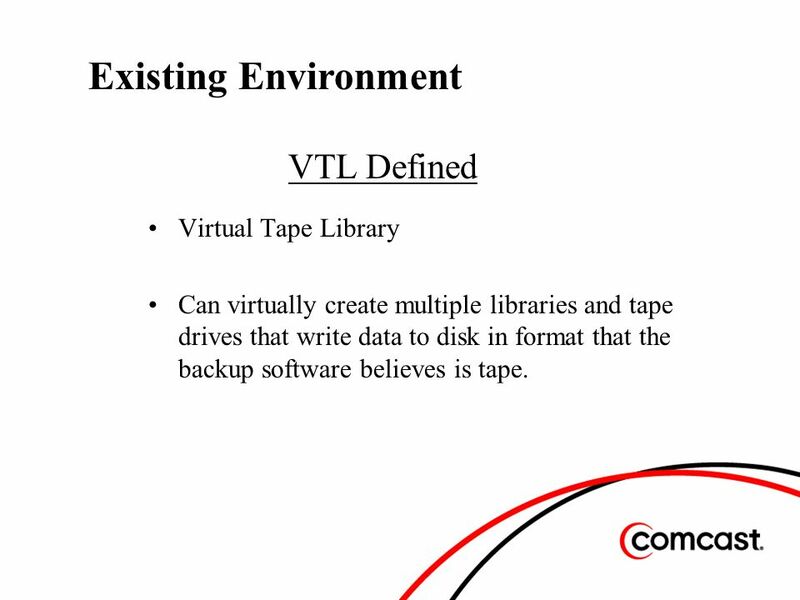 –No more rotating tapes, except off site. 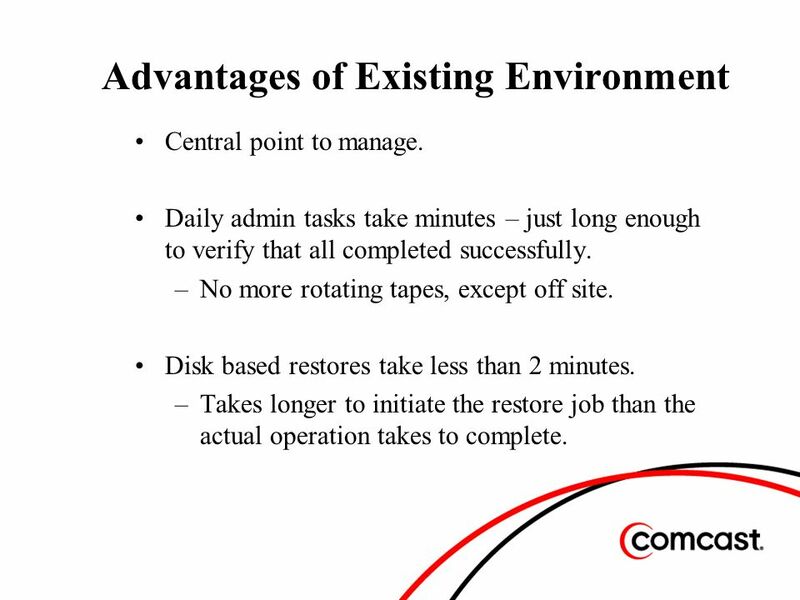 Disk based restores take less than 2 minutes. 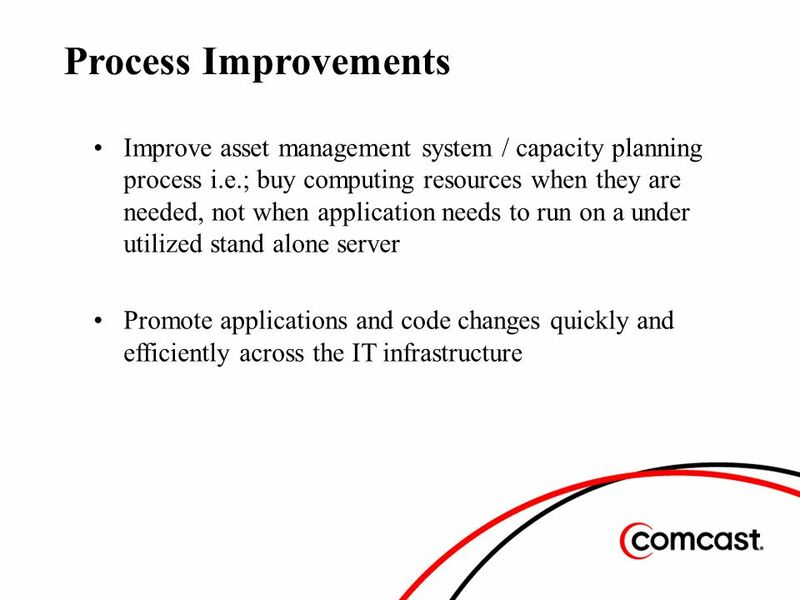 –Takes longer to initiate the restore job than the actual operation takes to complete. 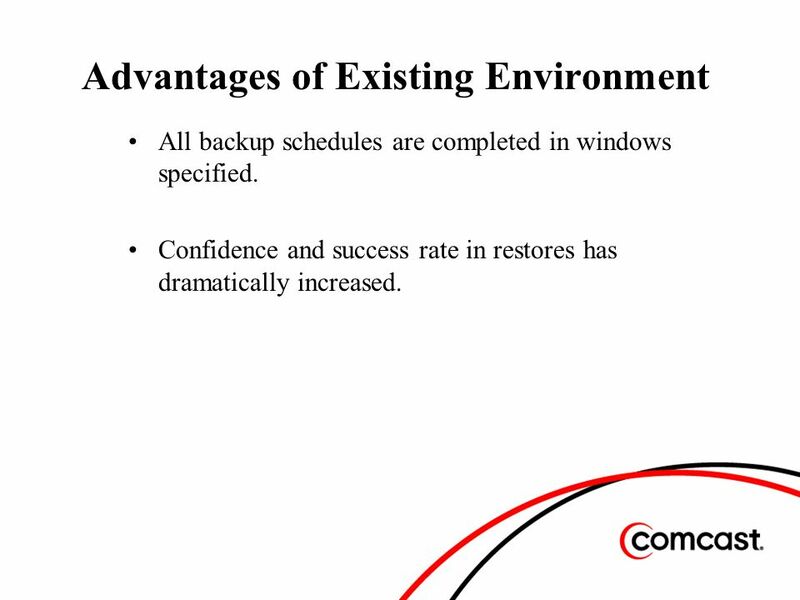 19 Advantages of Existing Environment All backup schedules are completed in windows specified. 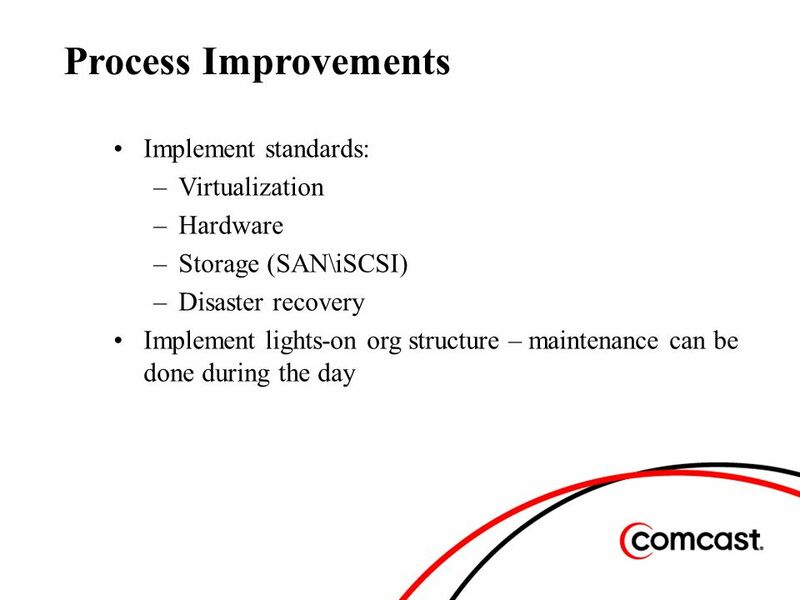 Confidence and success rate in restores has dramatically increased. 23 The Future of our Backups Move from a 5 server infrastructure to 3 due to higher processing capabilities of servers. 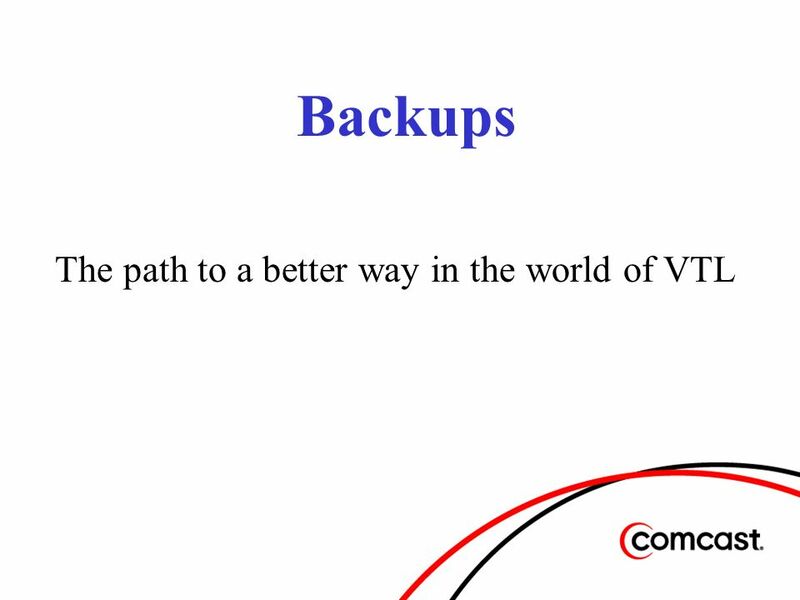 Upgrade network connections for Netbackup servers to Gigabit! 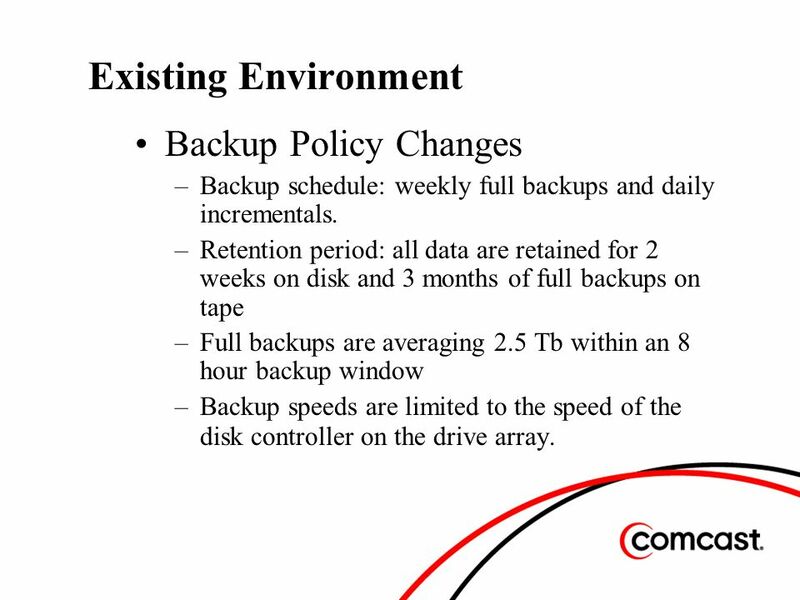 Expansion chassis for disk library due to increased data. 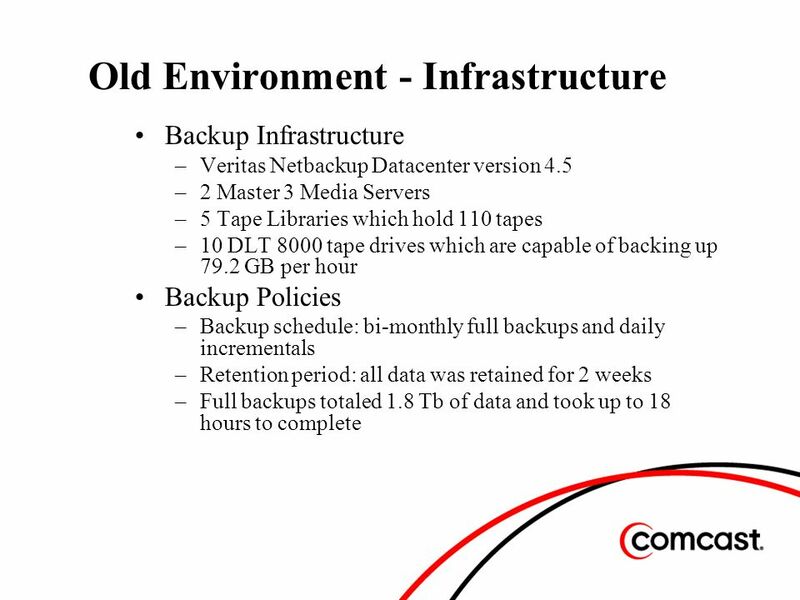 25 Backup client settings should be standardized for network settings, an example would be to hard set to 100/Full. Still need tape! 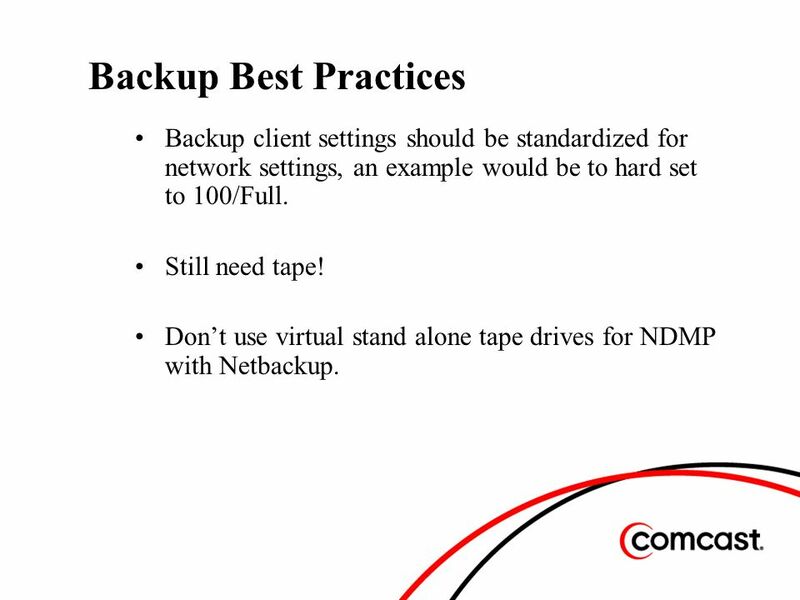 Dont use virtual stand alone tape drives for NDMP with Netbackup. 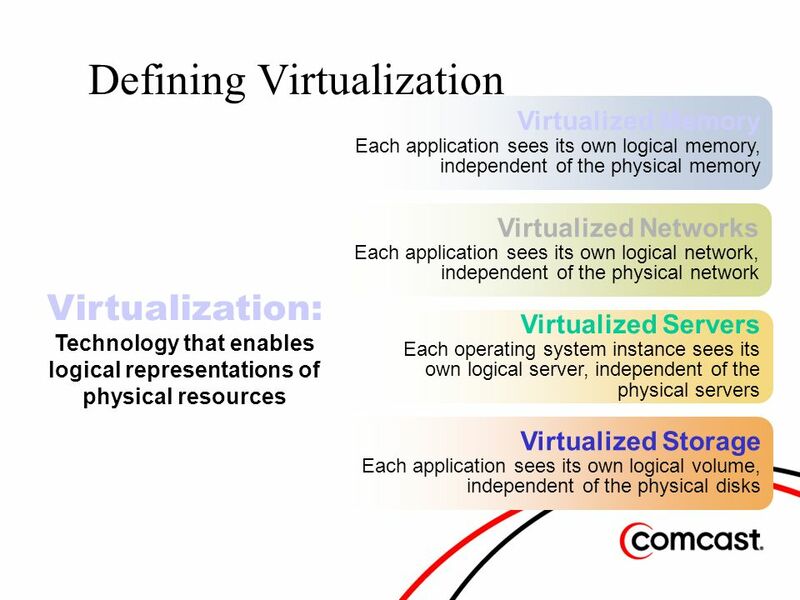 31 What is Virtualization? 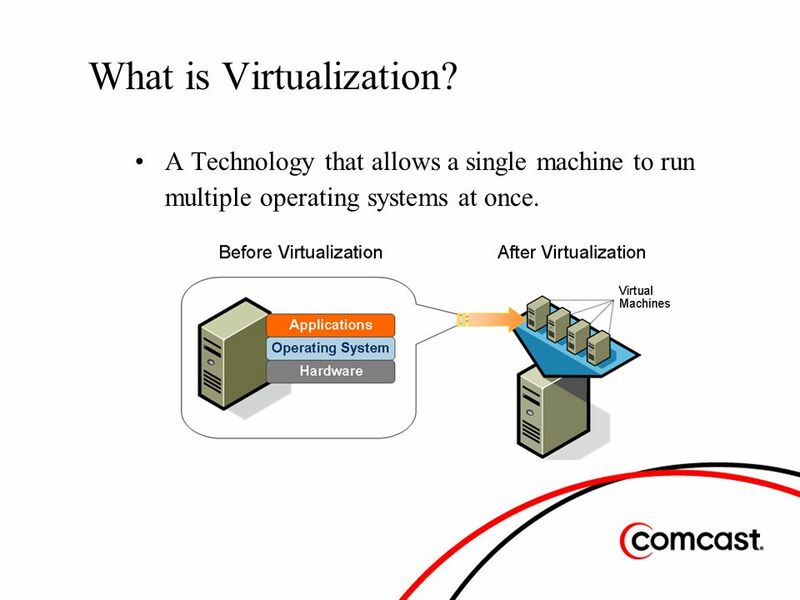 A Technology that allows a single machine to run multiple operating systems at once. 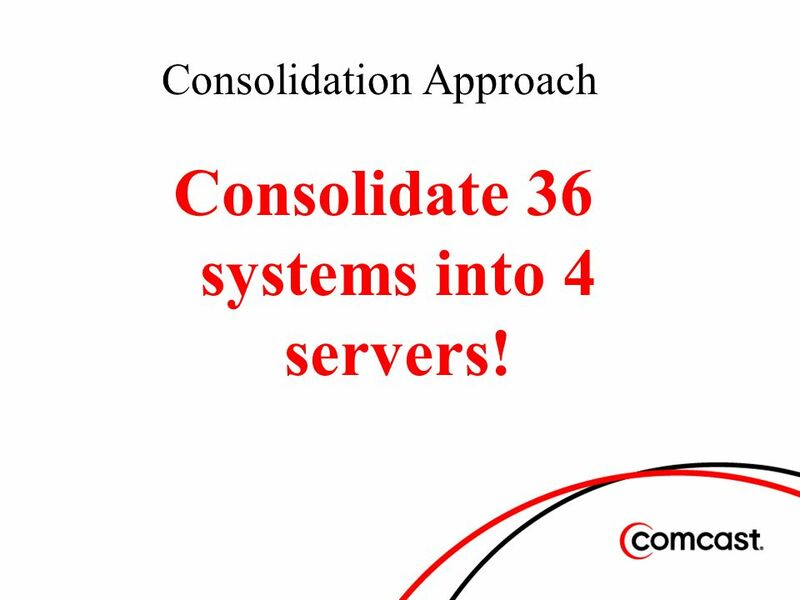 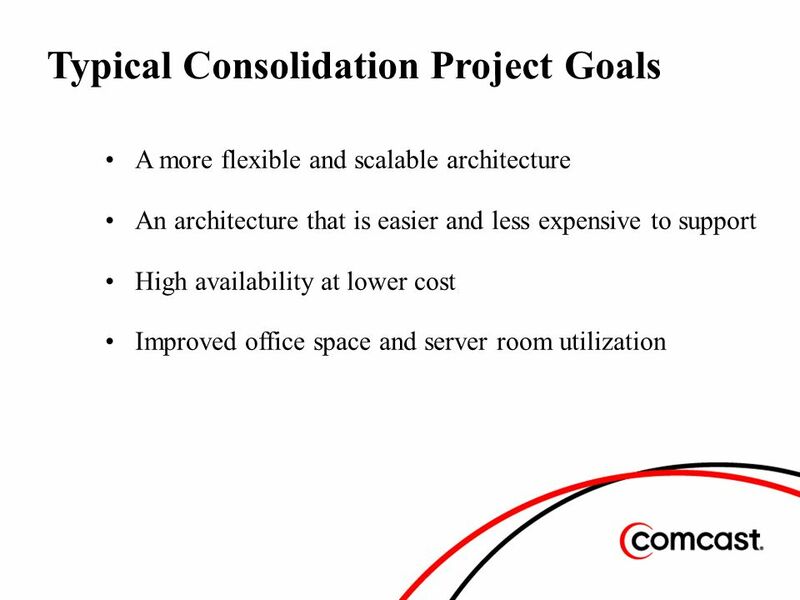 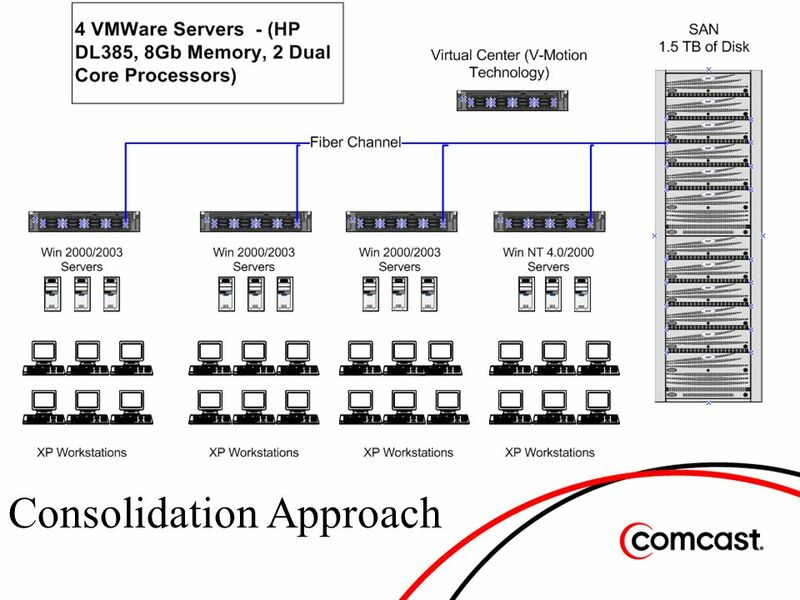 46 Consolidation Approach Consolidate 36 systems into 4 servers! 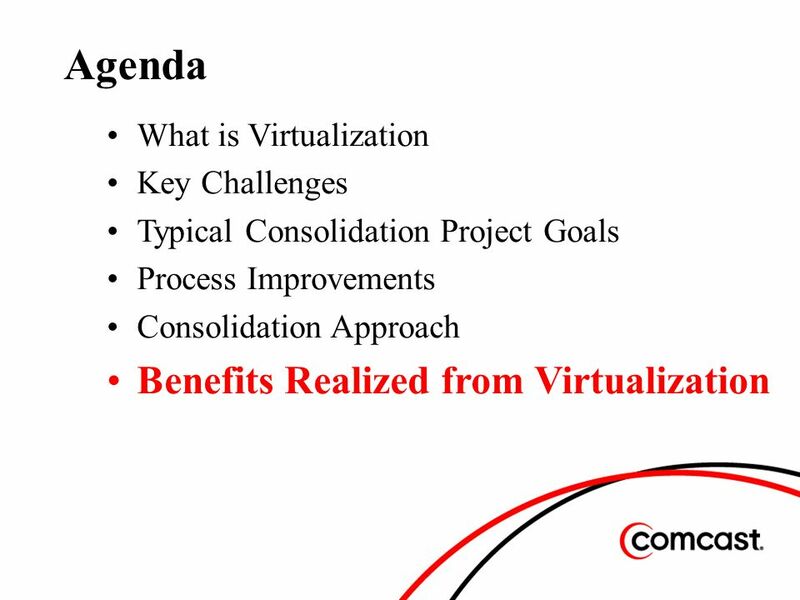 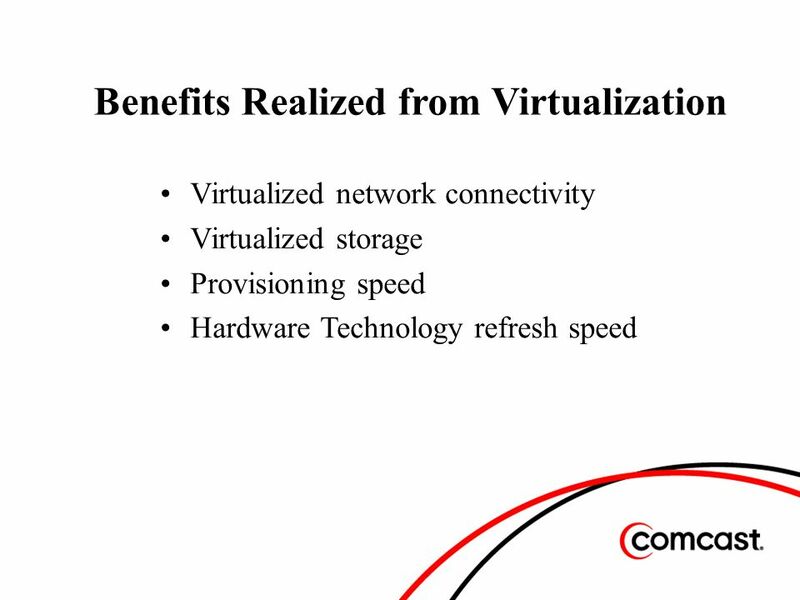 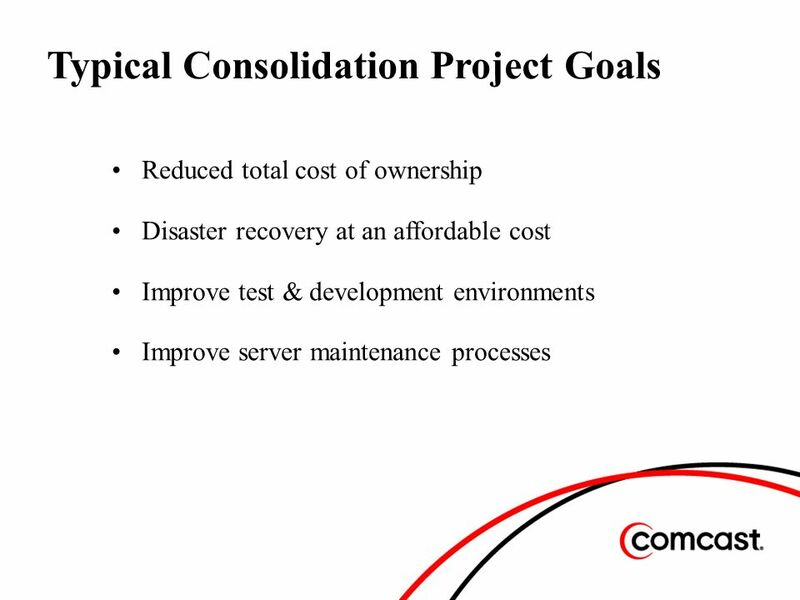 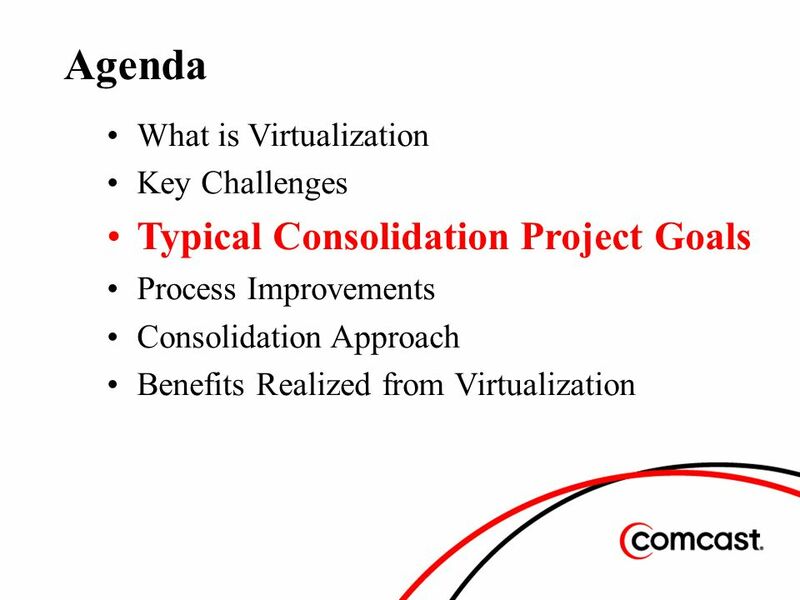 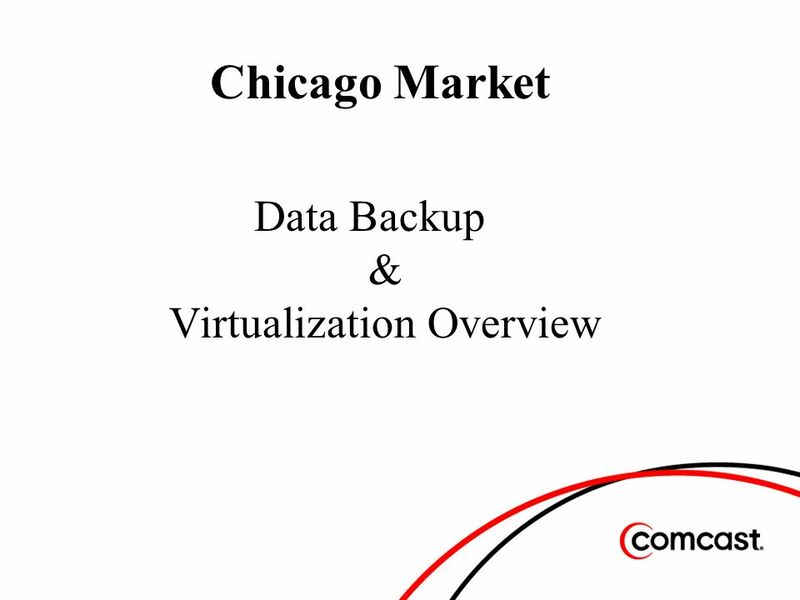 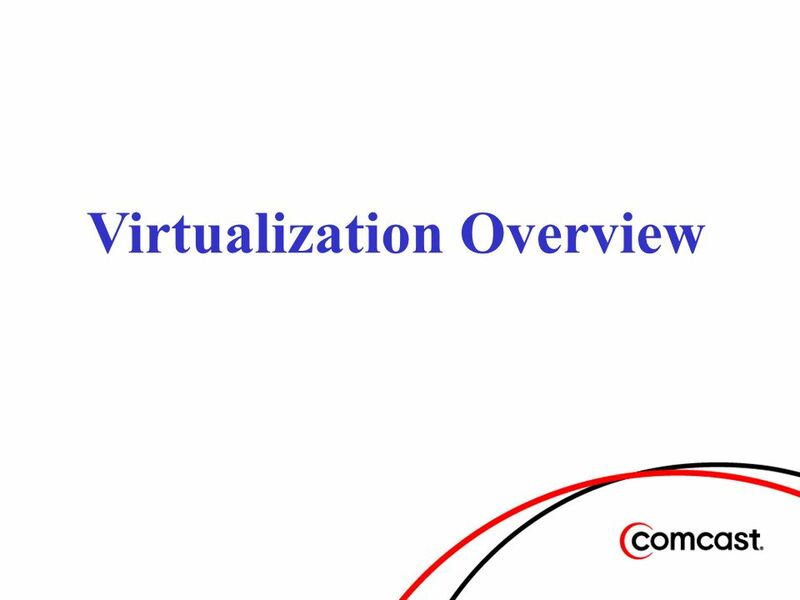 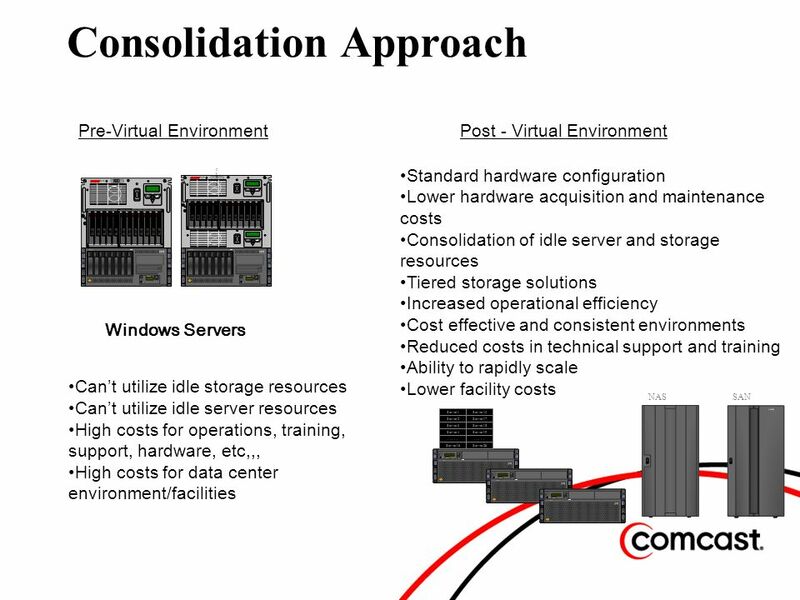 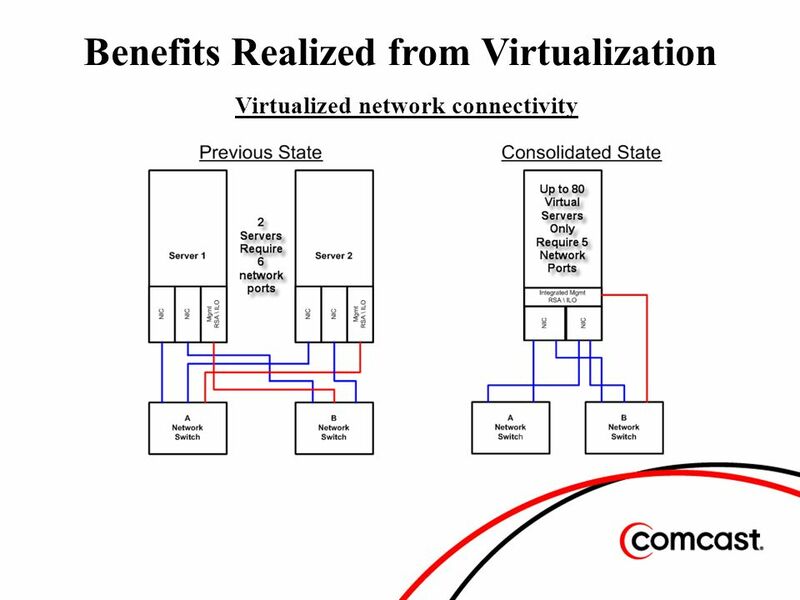 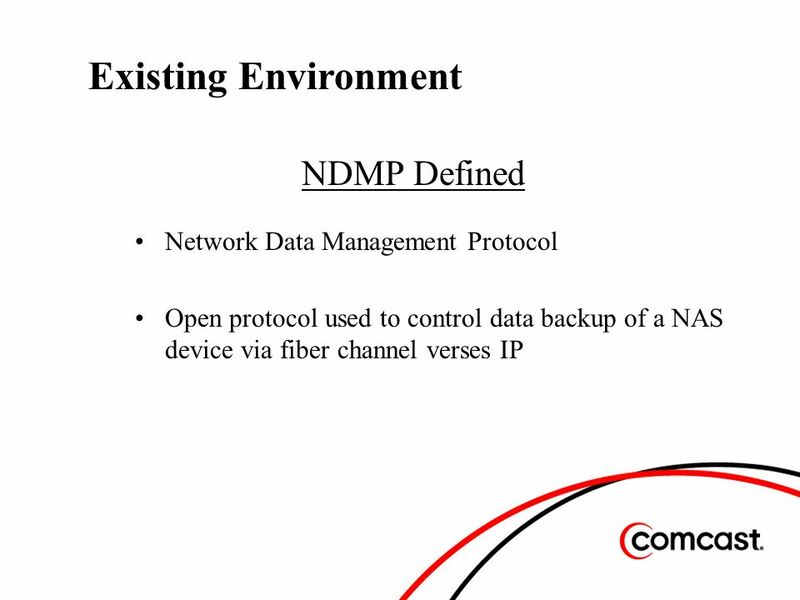 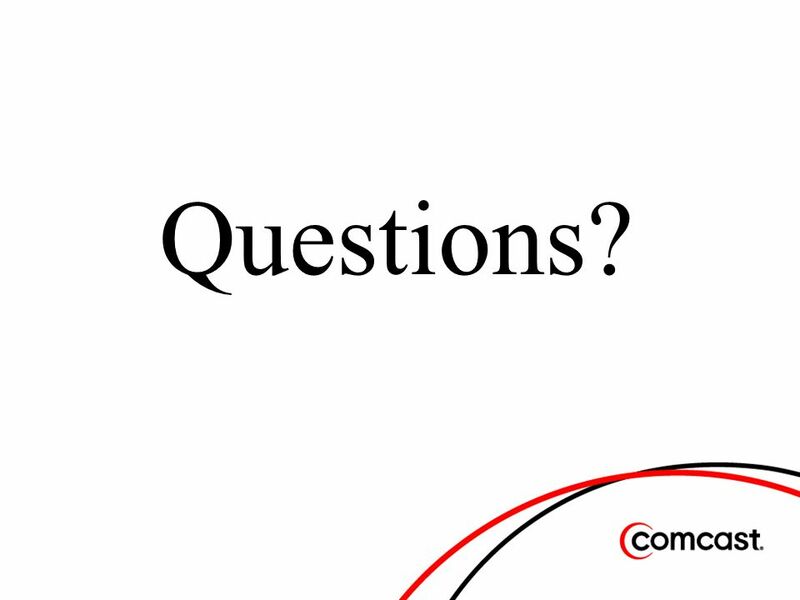 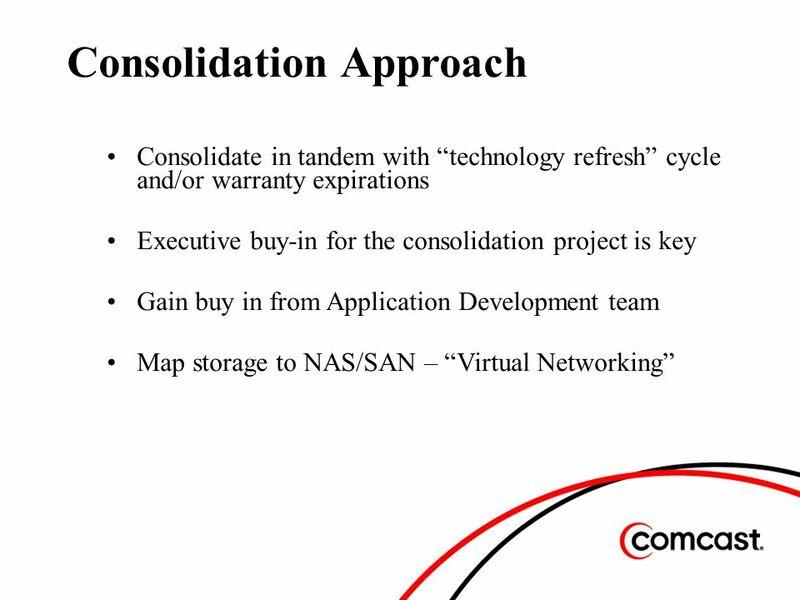 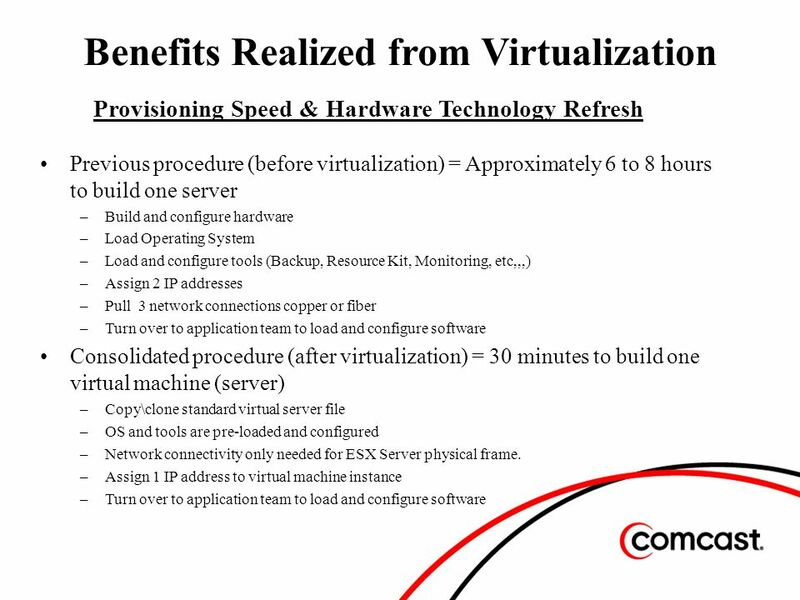 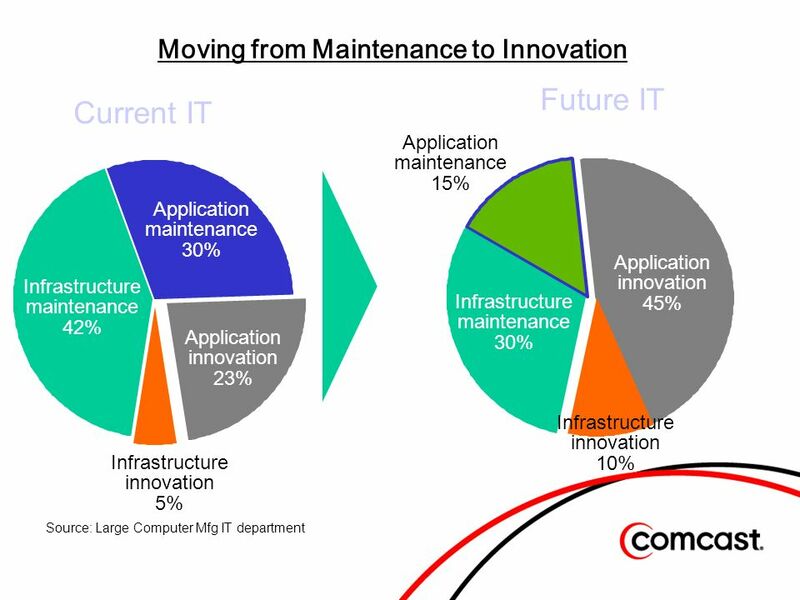 Download ppt "Chicago Market Data Backup & Virtualization Overview." 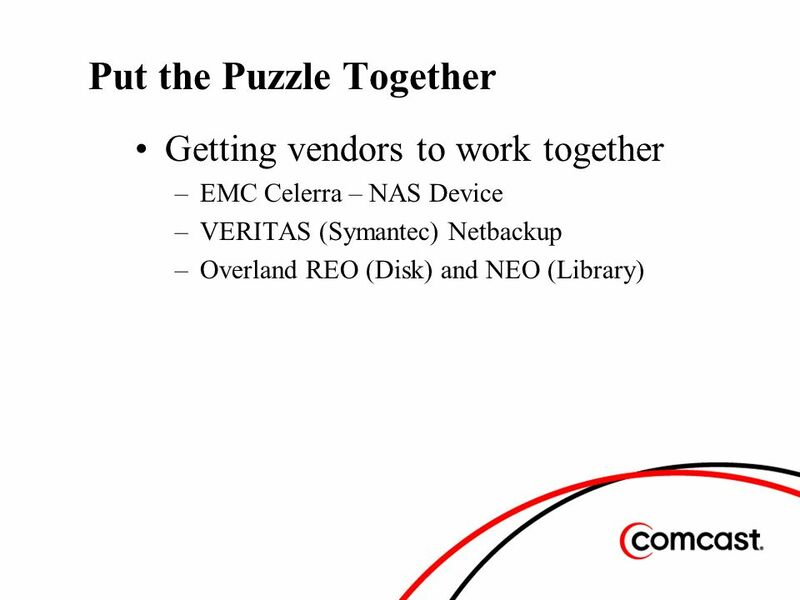 Business Continuity Technology Peter Lesser (212) Peter Lesser (212) Kraft Kennedy & Lesser, Inc. 360 Lexington. 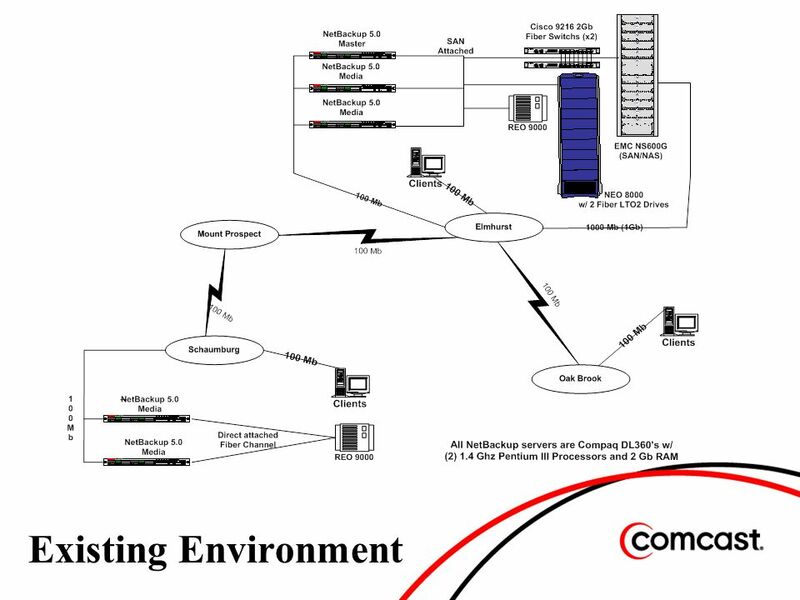 Basic Principles of PACS Networking Emily Seto Medical Engineering/SIMS Center for Global eHealth Innovation April 29, 2004. 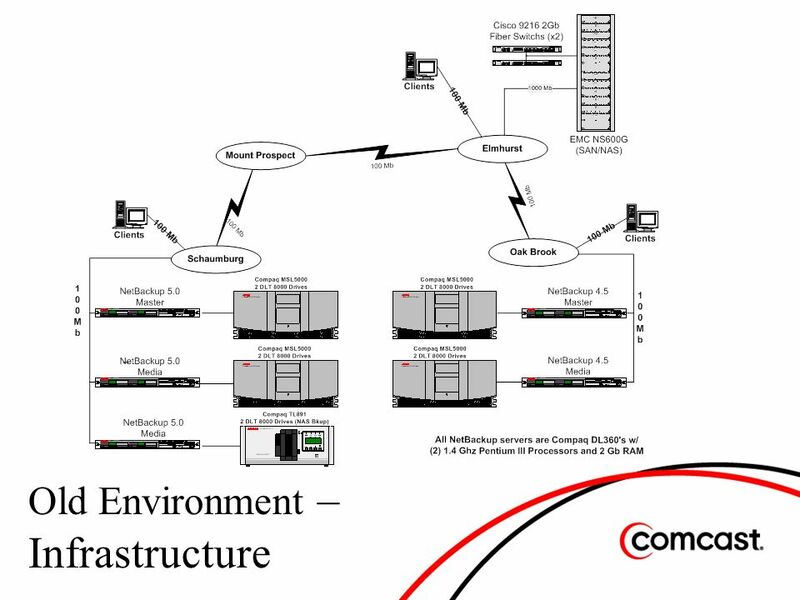 Proposed Storage Area Network Facilities For Discussion. 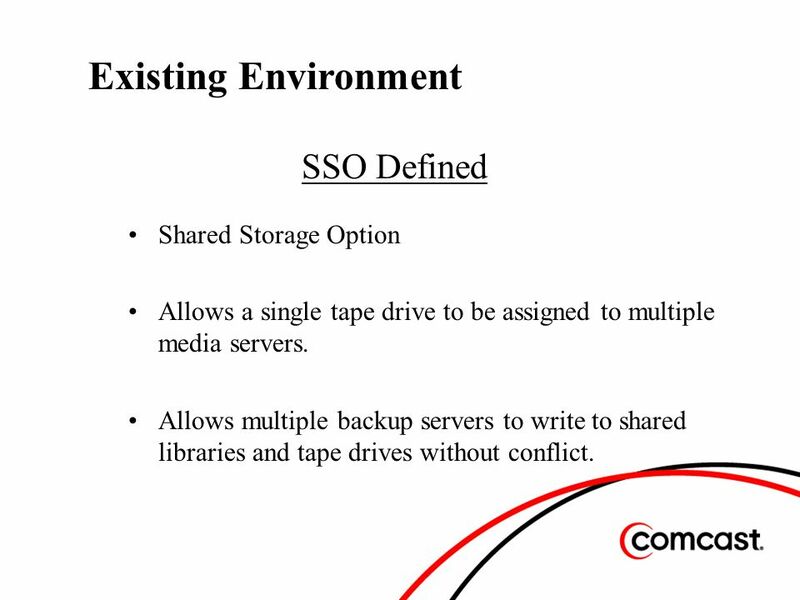 XenData SX-520 LTO Archive Servers A series of archive servers based on IT standards, designed for the demanding requirements of the media and entertainment. 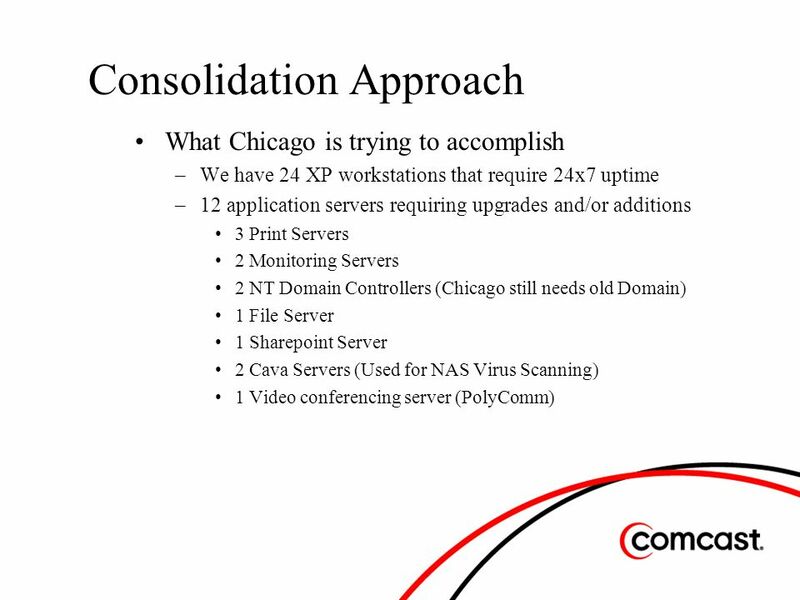 MUNIS Platform Migration Project WELCOME. Agenda Introductions Tyler Cloud Overview Munis New Features Questions. 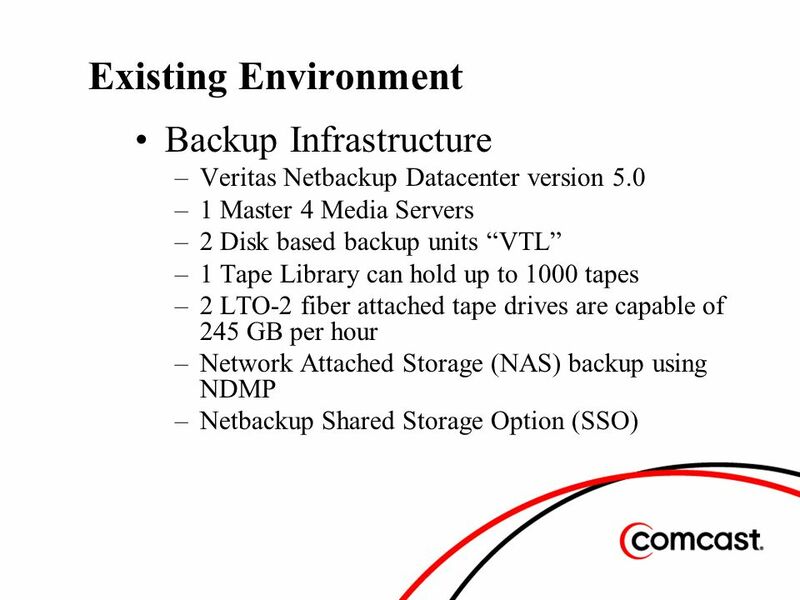 1 CSC 486/586 Network Storage. 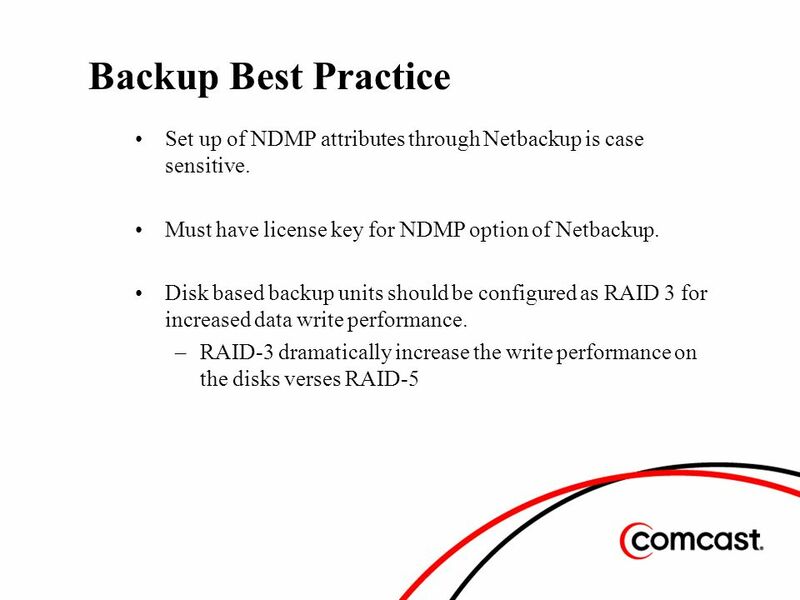 2 Objectives Familiarization with network data storage technologies Understanding of RAID concepts and RAID levels Discuss. 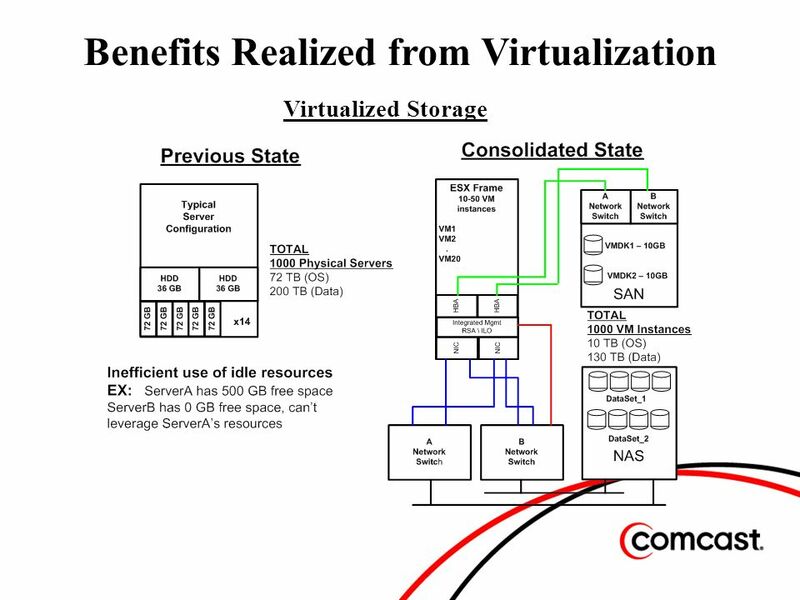 Shared File Service VM Forum January, SFS Topics Targeted Usage Security Accessing CIFS Shares Availability & Protection Monitoring Pricing.